When people consider investing, there is a belief that already having wealth is the only way to start. That's not necessarily the case. You could start investing with as low as $50 a month. To be an investor, you must distribute money and expect to collect a profit in the future. If you feel that you can gain good habits such as, setting money aside every month, you're on the right path to earning your fortune. The following are some great investment tips to get you going in the right direction. Start Small. Saving money is just as important as investing and is, in some ways, similar. If you feel you need to get yourself into the habit of saving, you may want to consider taking about $10 a week and hiding it in an envelope or a cookie jar. As odd at is it sounds, if you don't miss a week, you'll have $500 saved up in there after a year. 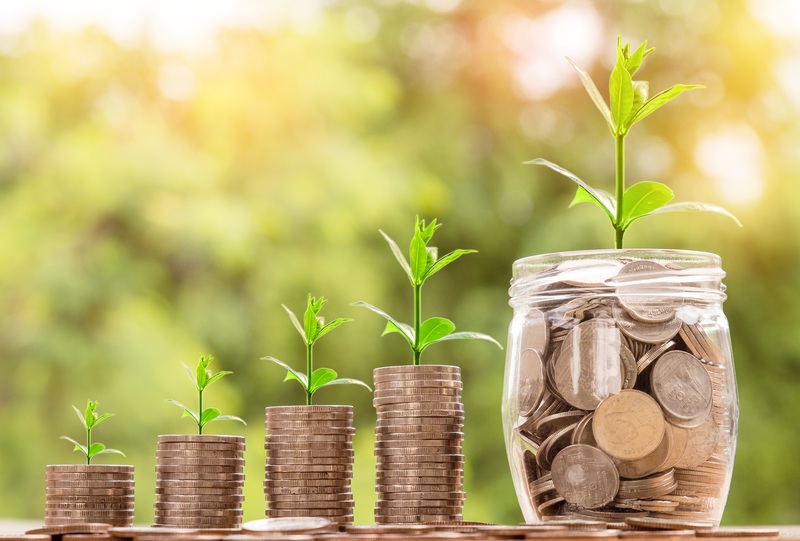 Because you started small, you'll gain more confidence in your saving ability and will want to start adding more to your savings each week as you get more comfortable with the process. Perhaps you'll run into a situation where you don't have money in your budget to set aside into that envelope. One good solution is to take some of that money you originally planned on using toward a dinner out or a movie and set it toward your savings instead. This is one of many methods to help you start saving and investing. Short Term Investment. If you want to get involved in a short-term investment, you probably want to pay for something in 1 to 3 years or less. You'll make these kinds of investments when you only have a limited amount of time to pay for something. Most short-term investments usually go toward buying a car or going on a vacation. If you’re unsure of any short-term goals, a great lifestyle option is to set aside money for an emergency fund. You'll find emergency funds most useful for matters that affect your day-to-day life like a car or home maintenance issue. However, unlike long-term investments, you'll have to sacrifice a big return (profit of an investment) and the ability to get out of a position quickly and easily. Long Term Investment. The reason most people tend to go toward a long-term investment is that they want a retirement plan and to afford an education for their children. Long-term investors tend to go for the riskier investments because those are the ones they are expecting a higher return. How do you get started on your first long-term investment? That answer isn't so cut and dry as there are plenty of ways you can save and invest your income. Let's focus on some real estate investment tips. Real Estate Investing is when you purchase, manage, own, and sell real estate for a profit. Knowing your market that you're getting involved with is essential. You have to keep up with current trends and any changes made in consumer spending habits. If you have all this knowledge, you'll predict trends and find your right opportunity to invest. Investing in Stocks. Want to get into the stock market? The biggest and best trick you can have is the ability to control your emotions. For some, this is a huge obstacle because their stress and emotions gain control, so they make poor investing decisions. The stock market can be a difficult thing to predict. If it moves against what we expect or want it to, we can start to feel tense and insecure about this financial decision. If you are worried about if your investment is too risky, it's best to develop an exit plan before you execute your strategy. Never borrow. It's never a good idea to borrow money to invest in something. What if the risk doesn't pan out the way you want? You still have to pay back the money you borrowed to whoever lent it to you regardless of what happens. The smarter choice will always be to save up your own money and use that to make your investments. Becoming an investor can be one of the smartest financial decisions you ever make or the worst. It all ultimately depends on how risky of an investment you're making and if you have an exit plan in case things go south. As a relatively new investor, it's best to utilize these investment tips on safer short-term investments. This will help teach you the ropes so you can shoot for those long-term goals and make riskier investments.